The types and terms of your mortgages may help determine how much house you can afford. You have many choices. Many people look at interest rates only when shopping for a mortgage because they don’t understand the other aspects of the loan. But there’s more than the interest rate to consider. 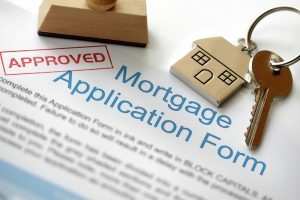 Avoid up-front interest charges (point) you will pay as fee to lender. But expect a higher rate and higher monthly payments. ...or make low monthly payments. Pay more points and you can lower your payments. If the APR is much higher than the interest rate, this may indicate that the lender is charging high up-front fees. Spread them over the longest possible time (30 years). You will repay the loan slowly, pay much more interest overall, but each payment will be as low as possible. You will have higher monthly payments more of each payment will go toward repaying your loan. That means you will be building equity faster. Go for the lowest possible rate now and hope that rates don’t rise substantially at each adjustment. Get a rate you know you can afford now and you will be able to plan your future finances around it. Not much paperwork or many questions . Consider this if you need to close quickly or can’t prove you have enough income. But expect to pay for the privilege in up-front cash or higher rate. A more accurate expression of your yearly cost of borrowing than just the interest rate, the APR takes into account the interest, points, and other cost such as credit report fee, mortgage insurance, and origination fees. Then these costs are spread over the life of the loan, which is usually fifteen or thirty years.